WE STORE YOUR LUGGAGE AT OUR OFFICE! 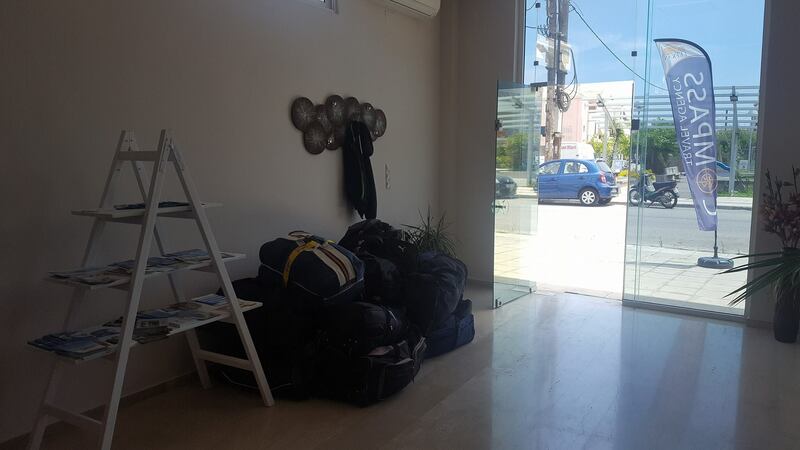 Home > Χωρίς κατηγορία > WE STORE YOUR LUGGAGE AT OUR OFFICE! 19 Jun WE STORE YOUR LUGGAGE AT OUR OFFICE! Do you have to leave your boat early in the morning and your flight is later? Your luggage will be secured. You can pick them up right before your departure. Enjoy your last walks in the city and the beaches of Lefkada, comfortable without worry about your luggage! !